In this tutorial you will learn how to quickly setup FileZilla to remotely manage your files for websites running on Google Cloud Platform. This is quick-start tutorial is designed for websites running on Google Cloud’s compute engine. Setting up FileZilla FTP is a quick and easy way to remotely manage your website’s files. Before starting this tutorial, you should have already created a Google Cloud Platform account and launched a website on the Google Cloud Platform Compute Engine. The first step in this tutorial is to download PuTTY and FileZilla. Putty is an SSH Key generator. 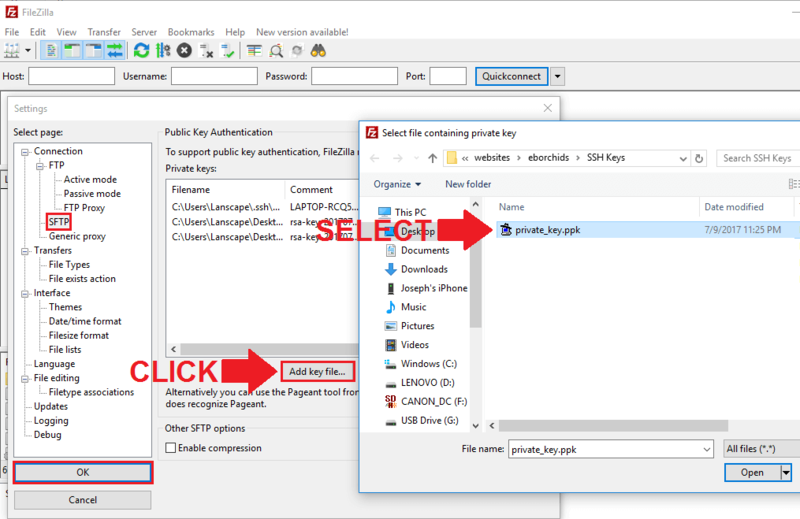 You will use this application to generate a private/public key pair in order to encrypt the connection between your Google Cloud platform instance and FileZilla. FileZilla is the FTP Client that we will use to securely manage our Google Cloud website’s files straight from our desktop. 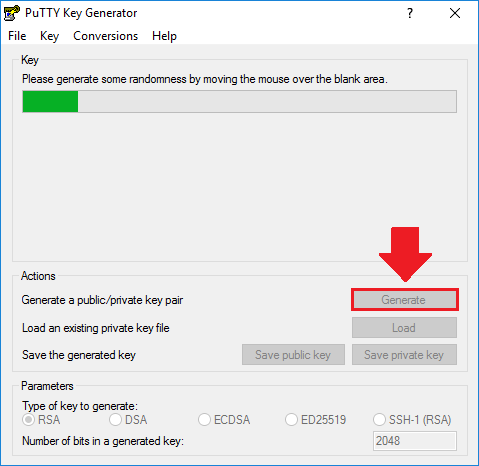 After you’ve downloaded PuTTY Key Generator, open the application and click the “Generate” button to create a new pair of SSH Keys. After clicking the “Generate” button, move your cursor under the progress bar to generate your SSH key files. After your SSH Key files have been generated, copy the public key text from the top box, and download the private key file by clicking the “Save private key” button. 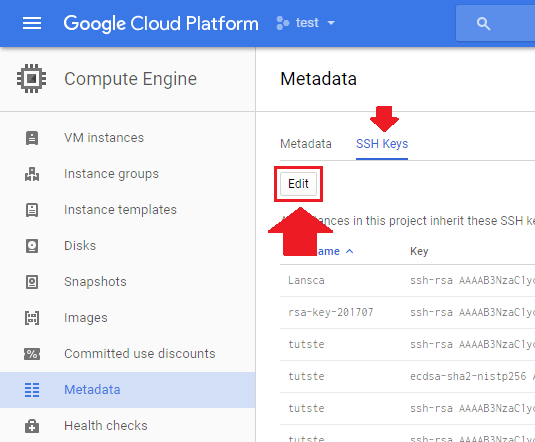 From the hamburger menu in the upper left-hand corner of your Google Cloud Platform dashboard, navigate to Compute Engine > Metadata > SSH Keys. Click the “Edit” button. Scroll to the bottom of the “Edit” page, click the “Add item” button, and paste the Public Key text that you copied in Step 3 into the box. Finally, click “Save”. Open FileZilla, and navigate to Edit > Settings. From the left-hand column of the settings menu, navigate to Connection > FTP > SFTP. Click the “Add key file…” button, and select the private key file that you downloaded in Step 3. In order to establish a connection between Google Cloud and Filezilla, you will need both the IP Address to your instance, and the username for your SSH Key. 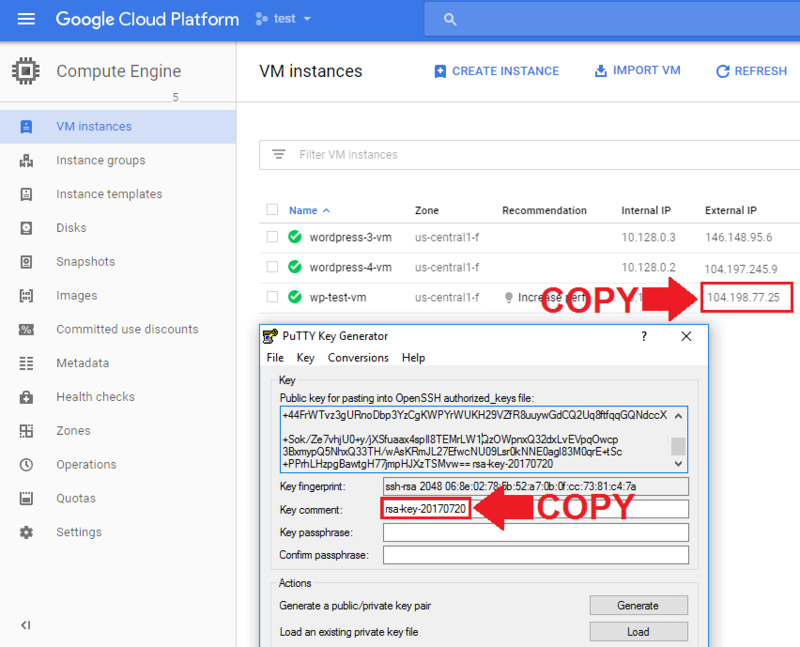 From your Google Cloud dashboard, navigate to Compute Engine > VM instances, and copy the IP Address of the instance you wish to connect to. Also, copy your SSH username, which is displayed in both the key comment section of the putty dashboard and at the end of your public key text. Back in the FileZilla dashboard, type “sftp://” followed by the IP Address of the instance you wish to connect to. In the username field, paste your PuTTY username. Lastly, click the “Quickconnect” button. After you’ve connected successfully, click the very top folder in the “Remote site” section at the right-hand side of the screen. Once this directory is open, navigate to your root directory by pasting the directory path in the remote host field. If you are looking to configure your SSH Keys using the Cloud SDK gcloud command-line-interface, you can check out that tutorial here. I paid for some body to host my site of which he did but I find it difficult to log in using FTP with the logins he gave? Saying wrong password. Any help? You may have to contact whoever is hosting the site to make sure your FTP credentials were configured properly. I am moving out of Google cloud. How do I download (export) my sql db? 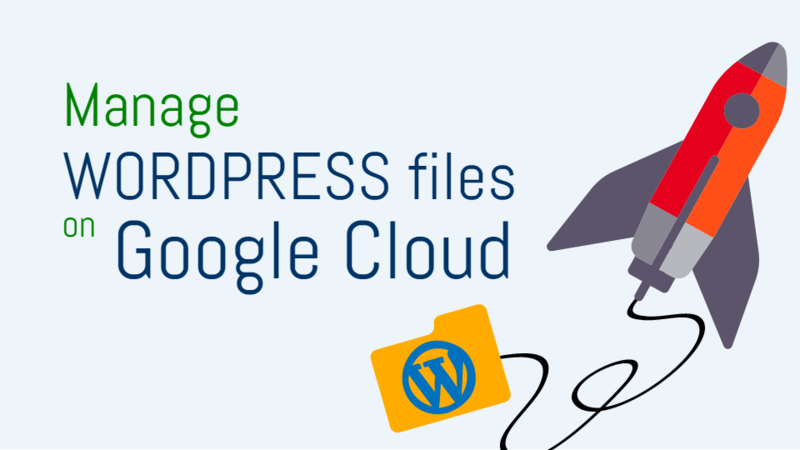 I followed your instructions when installing wordpress on Google Cloud. You can use the general instructions in this Bitnami tutorial to learn how to export your MySQL DB. This setting is disabled by default because it is insecure. However, check out this thread for a workaround (use the solution from answer 2). Once inside of the file, edit the settings as described in the link I sent you. Once inside of the file, edit the settings accordingly. Do note that connecting via FTP with only a username and password is not recommended for security reasons. I didn’t know what to edit with the command (sudo nano /etc/sudoers) so I skipped it. Kindly assist me at the earliest. Thanks for the articles about WordPress in the GCP. I think you saved me a few days of work . Thanks for the feedback Maksim! Hello. My posts are getting 404 error (The requested URL /hello-world/ was not found on this server). The posts are visible only on Plain permalink option. In the rest of the option, it’s giving 404 not found error. It’s a new website. I also have this problem. Were you able to fix it? I’m assuming you’re using WordPress Click-to-deploy? If so, I posted the solution to this problem in a comment which you can view here. Thank you mucho for this tutorial; it saved me a little bit of time since Google doesn’t have anything on SFTP that i could find. Wasn’t able to reply to the previous thread, but once again, you’re the man! Stumbled upon another problem which required me to edit file via Filezilla, and your last comment was really helpful. Glad to hear it! – Thanks for the feedback C.L. Thanks again for your clear and easy to understand tutorials. I’ve followed exactly the steps showed in the video and managed to access my root directory. Wonder if there’s any workaround that I can do? Thanks for reaching out, and I’m glad you’ve enjoyed the tutorials. The error you presented appears to be a simple permissions error. 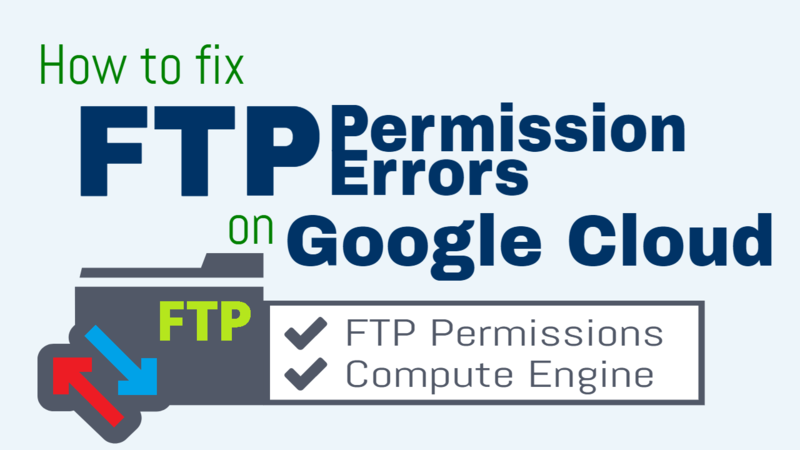 I go over how to fix permission errors in the following tutorial. I’ve actually looked into that tutorial of yours moments after posting the previous comment. I guess i’ve successfully changed the permission from initial 775 to 777.
but when i tried to delete the plugin file, same permission denied message appeared. I’ve then tried changing the file attributes by right clicking the plugin folder > File permission > and changed the default Numeric value of 775, to 777, but to no avail too. Make sure that you’re creating regular backups of your website before adding/deleting files. I tried ” sudo rm -rf /opt/bitnami/apps/wordpress/htdocs/wp-content/plugins/wp-smushit ” but nothing showed up. But when I tried to look up the plugin file again via FileZilla, I can no longer find the file, so tried installing the plugin again and IT WORKED!! Thanks again so very much, Joe! Although still unable to change the file permission to 777, but in the meantime my problem is solved. So gonna subscribe to your page and channels. I corrected this mistake in my previous comment. I would also like to mention that I am on GCP. You will have to SSH into your website and delete that plugin. To increase your project’s security, I would recommend using strong passwords and taking regular backups of the VM that houses your WordPress website. Additionally, add 2-factor authorization to the Google Cloud account. This way, even if your website gets hacked, you’ll be able to quickly restore it from one of the backups which are housed in your Google account. I hope you find this information helpful, and let me know if you have any questions. I wanted to know if you had not made a tutorial about it. I mean by that, got into SSH, found the plugin and deleted it. I did not make a tutorial on how to accomplish this, but you can check out this tutorial for examples of common Linux commands and their use. For your situation specifically, the easiest thing to do is simply to SSH into your VM instance, and run the following rm -rf command to delete the plugin. Remember to replace absolute/path/to/plugin with the absolute path to your plugin. Remember to be very careful when using the rm -rf command, because it will forcefully remove files/directories. Then connect to FileZilla, locate the plugin folder, then delete it. The only issue with the second method is that it adds an extra step, however, it is what I would recommend if you don’t feel fully comfortable using the rm -rf command in the SSH terminal. If I want to just give access to specific folder for specific user, how i can manage it? Check out this thread for some methods on how to restrict/grant access to folders for specific users. I have done like the step above, but my filezilla got connection timeout. My server is windows instance windows server 2008 in google cloud. 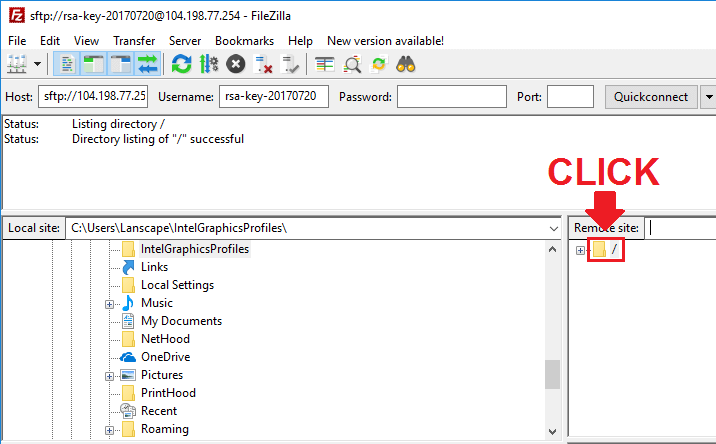 I have installed filezilla and putty key gen in my client pc that want to connect to server. I am having the same issue. Did you every figure out how to resolve this problem? Thanks for help. I am following the same method but getting the error “Disconnected: No supported authentication methods available (server sent: publickey)”. Any idea why? Does the username that you’re using to connect on FileZilla match the username assigned to the public key? You can open your public key file in any text editor and the username should be visible. Are you using the sftp:// prefix before you IP address in the FileZilla “Host” field? 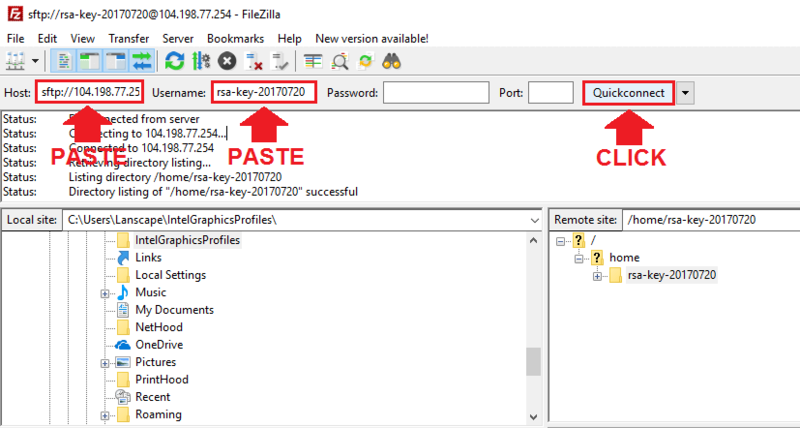 Has your private key file been uploaded to Filezilla? If you’ve accomplished all of these things and you’re still having issues, please feel free to reach out and I will see how I can help. I’m having the same issue, did Tech Dog ever come up with a solution? 1. I believe it’s the same name… tried many variations of the name as well… Is it the same name that is listed in the private key? 3. Private key uploaded yes. Once again, this worked like a charm. I really have to hand it to ya – I’m totally new to Google Cloud and your tutorials are making this a breeze. Wonderful tutorials! Simple and easy to follow. 1. I sftp on filezilla and noticed that wp-content and plugin directories were missing. Also, the all the permission were bitnami:bitnami and not-bitnami:daemon. 2. Does this mean my site was hacked? Can’t find any of my wordpress stuff. And no – you weren’t hacked. This will show the directory contents of your WordPress installation, which is where your wp-content directory is located. The instructions are nearly the same as in this tutorial, except with FTP you’re configuring the graphical user interface. That being said, check out this thread for step by step instructions for FTP on AWS. I have a question. I set up Filezilla on my Mac, and unfortunately, my computer broke (and is completely dead)… so now I have a new mac. Is it ok to just download the Filezilla again and follow your tutorial? Does it matter that I already set it up on my old computer and essentially lost it? There shouldn’t be any issues – you can start from scratch and re-install Filezilla. Here is a basic guide you can use regarding configuring expires headers, including how to activate the mod_expires module. 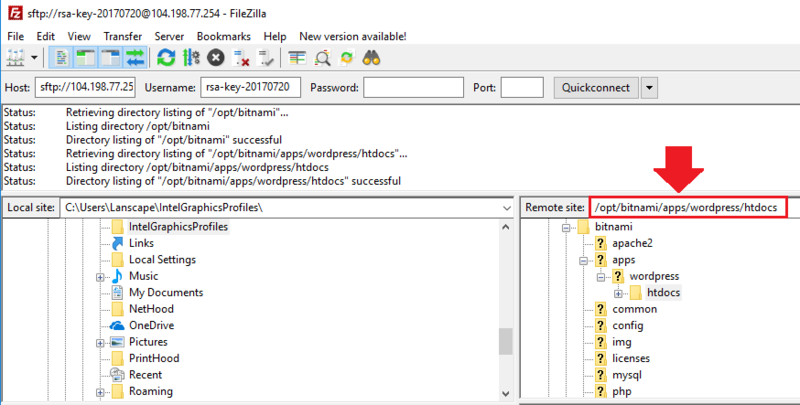 Also check out this guide about optimizing a Bitnami WordPress install. The issues that you see listed in Google Pagespeed insights are suggestions on how to improve your website’s load time – they’re not indicative of a problem with your website. To check for indexing problems, make sure to set up your website with Google Webmasters. With setting up expires headers, it’s important to know the expiration to set for each element. For instance, elements on your page that remain constant such as your website’s logo, sidebar items, etc. should have a different expiration that items that change more frequently. Anyways, follow the guide I sent you about configuring expires headers, and check out this resource to make sure mod_pagespeed is enabled on your Bitnami install. These will both help to reduce your page-load time. i have hosted woocommerce website on google cloud. when i am installing plugin on my wordpress website its asking for ftp credential for installing plugin. i have input external ip and ssh username but its asking host name. please suggest what should i do. For instance, your host name would be sftp://134.110.63.223 if your external IP address is 134.110.63.223. You username is either bitnami or whatever you configured it to be (In step 3 of the tutorial, you set your username by entering it in the Key comment field). yes, i have enter sftp://134.110.63.223 in host name and rsa-key in username and password left empty but its still saying FTP hostname is required. please brief me how to install plugin from wp-admin. where can i send you the screenshot of this issue? I have not had any experience with any plugins that require you to provide them with FTP information, so for that reason, I don’t have a solution for you. What I would do is try to contact the plugin developer and see if they can help. Based on what you’ve described, The rsa “key comment” would go in the username field, and you would use port 22. Below message is showing on WordPress dashboard. i have run 777 permission command in SSH. how do i fix it. What plugin are you trying to configure? Did you try to change the permission level of your /var/www/html/wp-content/uploads/ directory? Also, you can send me a message through Facebook messenger on the One Page Zen FaceBook page and I will take a look at it if you’d like. I also got permission denied problem while tried to open home directory. Is there any way to got a root permission using filezilla? Unfortunately, I am not aware of a way to get root permissions through FileZilla. You will likely have to change the permissions of the file/directory that you want to edit through the SSH terminal prior to editing the file via SFTP, as shown in this tutorial. where my root directory is located ? * running bootstrap 3.x in google cloud. Those sound like good ideas for tutorials. Instructions are very clear. BTW, I think I love your tutorials and going to subscribe through this comment. Keep up the great work. I am glad to hear that the tutorial was helpful to you! Error:	Failed to retrieve directory listing”. I assume that’s because there’s security on the folder. Can you tell me how to handle that? You don’t need to make regular backups of your SSL certificates simply because they are free and you can issue new ones at any time. I would, however, recommend that you take snapshots of your virtual machine at regular intervals (maybe 2x/month, depending on how often you update your site) in order to ensure that your data (including your SSL certs) can be safely recovered in case it breaks and can’t be easily restored. If you still want to make a backup of your SSL certificate files, what you would need to do is follow this tutorial. Remember to revert the files back to their default permission level (the reason for step 3). After making these changes, you should be able to download the entire letsencrypt directory and it’s contents. Beautiful post. Nicely explained. And it works. Thanks. Hey Mike – thanks for commenting! Hey wanted to comment here to get some help in connecting to my files using Cyberduck. I use a MacBook Pro, and I have to admit up front, that I am not that great with the command line, but I can get through it if I know the right commands to use. Having said that, I am having issues SFTP to my files using cyberduck. It doesn’t like the keys, or the format of the keys I am using , and it keeps asking for a passphrase, which I did not add when I created the keys. I don’t have the same problem when I create an image through the bitnami launchpad, as it generates the keys, both in .ppk and .pem and I just download the .pem file and I connect fine. However, I don’t really want to use the bitnami launchpad install as it has its limitations that I won’t go into here. Do you know of any tutorials for us that are using a mac trying to connect to our files with Cyberduck. Unfortunately I don’t have a solution to your problem. I know Deepak proposed a solution in one of the comments before you, but if I remember correctly that pertained to the Bitnami configuration. Please let me know if you find the solution, as several other people have asked this same question! I have not really found a solution yet either, but I find a work-around. I used the .pem key that was generated by the site I created with the bitnami launch pad and added it to the site that was generated by the google launchpad. I added this key to the VM instance under the custom metadata with the value of sshKeys. Once I did this I was able to use this key to login with Cyberduck. I don’t know if this will work on every vm instance that I add, but maybe I can used this single key on multiple sites until I can figure out another way. Will do – and thanks for the tutorial suggestion! Have you been able to get this to work with Cyberduck? The reason I am asking is that I have tried this method and it doesn’t work for me. It clearly states in the bitnami documentation that Cyberduck need the key in .pem format. So I think that is my problem. My Cyberduck will not take the .ppk key. I was able to used the .pem key that was generated by the site I added with the bitnami cloud launcher and use it on the site I created with the google cloud launcher. The bitnami launcher creates both types during the install, which you can download to your pc, but the google cloud launcher only creates the ppk, which does not give you the option to download. Not sure why bitnami does this and not google, but at least I was able to use that key to cyberduck to my vm instance. Yes it was working fine, but i can’t talk about the current requirements as i am not able to connect to my instance since few days due to some different serious bad configuration . I am trying to upload new modified .htaccess file through FileZilla but every time I face Permission Denied problem. It lists (/var/www/html/.htaccess: open for write: permission denied). Can you tell me what could be the Issue? You are going to need to connect to your instance with SSH from your VM instance page. This fix is not a best practice if you have multiple users with access to your Cloud Project files, as it grants full Read/Write/Execute permissions to all users. which does the same sort of thing you did but without the graphical interface. I will have to look more into it. I checked out the video that you linked to and it looks relatively easy to configure on Mac. The reason I used PuTTY is because I know many users prefer to avoid the command-line-interface whenever possible (which isn’t very often when working on GCP). Looks like you could just do the same steps from the PuTTY tutorial except you’d have to open up and copy the contents of the public key file. Let me know if you figure it out and what the process was like! I am working on mac too, Can you tell me please how did you get the username for filezilla because Joe got it from Putty under Key comment. I followed the video you shared and it is not clear. Look at this tutorial from Joe. All the steps are the same except that you stay in the Terminal to create the ssh key and then open the public key using ‘vi’ command. It was fairly straight forward. Hope that helps.